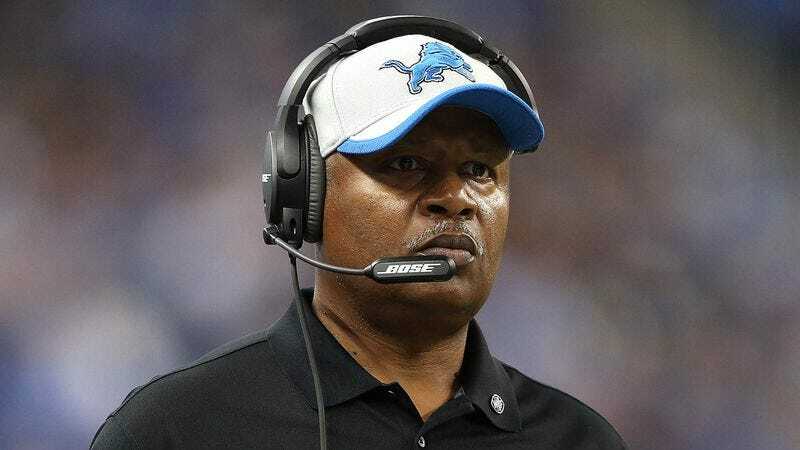 DETROIT—As the Detroit Lions entered the locker room Sunday following the first half of their game against the Chicago Bears, head coach Jim Caldwell reportedly provided every player with a three-page printout of an inspiring halftime speech. “Everyone, please take one,” Caldwell told players as he handed out copies of a 1,400-word, single-spaced motivational locker-room address, titled “Halftime Speech 10/18/15,” which had various words and phrases bolded or underlined for emphasis. “You have approximately 12 minutes to read it before the third quarter starts. You may begin.” After he made sure that everyone on the team had a copy, team sources confirmed that Caldwell stood quietly at the front of the locker room while the entire team read in complete silence.